Our knowledge of warehouse coatings can help you decide what’s the best products for your floor. We can also help you with choosing the correct floor prep process to make your project successful. As a leading warehouse floor coating contractor, we can give you a great price as well as the best service in Southern California, helping to make sure you get the best solution for your budget. 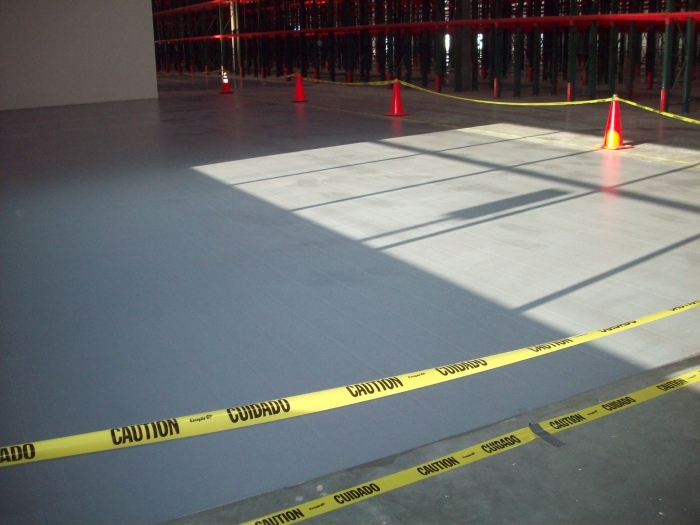 Warehouse facilities and loading docks are harsh environments for concrete flooring. If left untreated your concrete can crack and breakdown causing concrete wear and tear. This can create hazardous scenarios for your people and equipment causing accidents that can run into the tens of thousands of dollars. The perfect epoxy floor coating system for your distribution center will display a level, tough, and simple to-clean finish. For low to medium activity distribution centers, or shorter term applications (rented offices, and so on.) we offer a thin mil covering. These systems give a similar finish, however, they are not as resistant to marring as the epoxy systems. Call us today for answers to your questions.